Home / Reiki Attunement / What is a Reiki Attunement? We all have seven main energy centres in our bodies, which are referred to as Chakras. Over and above the seven main Chakras, we also have Chakras in the palms of our hands and at the bottom of our feet. These Chakras are used to draw and channel Reiki energy. Thus, when a student receives a Reiki Attunement, the Reiki Master opens the hand (palm) and feet Chakras, in order to enable the student to channel Reiki energy. What is a Healing Attunement? A healing Attunement is generally performed on a Client and is very similar to an initiation Attunement, which would be done on a student. But, it does not open the Client to channel Reiki energy. Instead a healing Attunement is used to increase the energy available for healing and to dissolve any energetic resistance around the client. Thus, it supports the Reiki energy, in order that it may work on a much deeper level and more rapidly. A healing Attunement would therefore be performed on a Client who has more serious concerns. Once you have been attuned to Reiki, it will never fade or disappear. Reiki will always be part of your life. By doing a Self-Attunement, you will strengthen the reiki energy and your connection to the Reiki source. A Self-Attunement does not re-attune you to Reiki, but re-opens the channels and strengthens your Reiki energy, thus offering you an “energy boost.” Many Reiki Masters do Self-Attunements once a week. A Self-Attunement is very powerful and can also be a wonderful spiritual experience. What is a Self-Attunement using a Ki Ball? This is a Self-Attunement, whereby you will be required to use the Level 3 Attunement process, but with the addition of a “Ki Ball”. Building a “Ki Ball” is be both an interesting and really fun way in which to experiment with Reiki energy. Here the Reiki Master/Practitioner would channel Reiki energy, but with the intention of building an “energy ball” (to the size of a soccer ball) and then “drop” the “Ki Ball” into his or her own body (energy field). 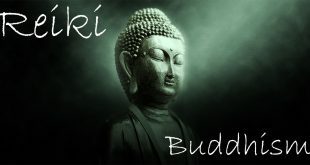 In much the same way as with all the other Reiki Attunements, the Reiki Master/Practitioner would also use the Reiki symbols in this Attunement and “imprint” them on the “Ki Ball.” This Reiki Attunement is not only a very effective method of boosting ones energy, but also leaves you feeling refreshed and rejuvenated. You can perform this Attunement whenever you feel that you are in need of a Reiki energy boost. What is a Distant Attunement? A Distant Attunement is very similar to a hands-on Reiki Attunement and works on the same principal of distant healing. It does happen on the odd occasion that a Reiki Master may be required to perform a Distant Attunement for a student. So, a Reiki Master would be able to perform a Distant Attunement in the exact same way in which a distant healing is done, by means of visualization. This Reiki Attunement can be done telephonically, online or in complete absence. Both the Reiki Master and student would be required to set a suitable date and time for this Attunement. This is just as effective as a hands-on Attunement. Previous Who can Learn Reiki? Next Are there any other Reiki Benefits?